ETC Group reports on trends in intellectual property relating to nano-scale technologies. With nanotechnology, the reach of exclusive monopoly patents is not just on life, but all of nature. 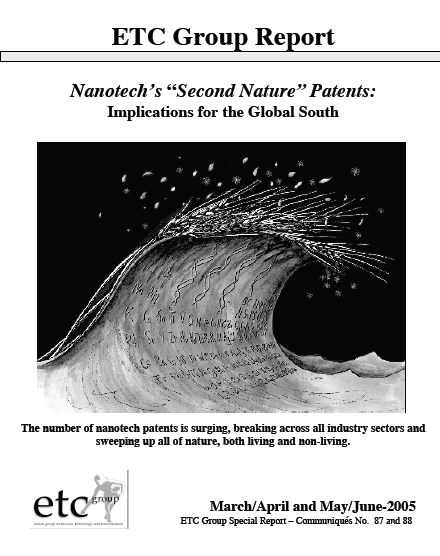 Accordingly, ETC Group refers to nanotech's "second nature" patents.